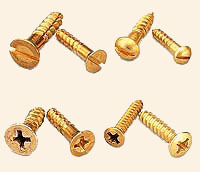 Finish: Brass Fasteners are Brass natural, Electro-Tinned, Nickel etc. Threads ISO Metric, BSW, BA, BSF, UNC, UNF UNEF etc. Threads: 2mm 3mm 4mm 5mm 6mm 8mm 10mm 12mm 16mm 20mm 25mm 32mm 1/8" 5/32" 3/16" 1/4" 5/16" 3/8" 1/2" 5/8" 3/4" 1" 11/8" 11/4" 11/2" 13/4" 2"